Manchester United were woeful at the back under Mourinho but things changed for good under the management of interim boss Ole Gunnar Solskjaer. Still, the Red Devils need to strengthen their defence and if reports in the media are anything to go by then they are looking to change the central defensive partnership for next season by signing two top quality stars. According to The Independent, the winter transfer window was quiet for the Old Trafford club but new arrivals are expected in summer as United target Koulibaly and Skriniar. The above mentioned stars are two of the very best central defenders not just in the Serie A but in the world and luring them could solve United’s defensive concerns once and for all. However, they are not going to come for cheap and as per reports, their combined worth is around £166.5million. As per Koulibaly’s agent, the Napoli player could cost (Canal+ via The Star) around €100million (£87.5million). On the other hand, Godin could join Inter Milan in the summer and Skriniar could depart and Tancredi Palmeri believes (TMW) that the Nerazzurri should bag at least €100million (£79million) from his sale. At the moment, the likes of Lindelof and Jones are the first choice central defenders at Man United. 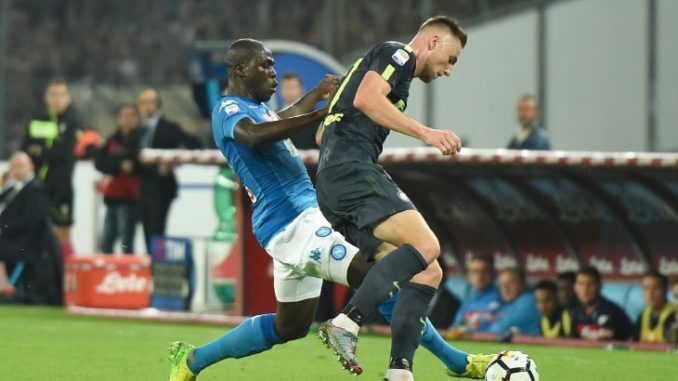 The duo have definitely improved since the departure of Mourinho but they are surely not as good as Skriniar and Koulibaly. Therefore, the Serie A duo should replace them and form a new central defensive partnership if they do end up moving to Old Trafford in the summer transfer window.